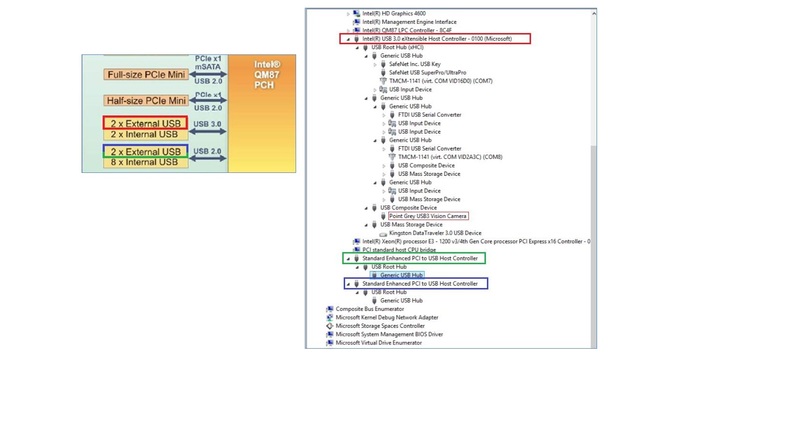 All USB ports of Intel Haswell chipset are from USB3.0 controller, and there are xHCI/eHCI 2 different mode, if you use W7(eHCI driver inside), the USB2.0 port devices are managed by the USB2.0 controller in the beginning, but after install driver, it’s become to managed by the USB3.0 controller. If you use W8(xHCI driver inside), it always managed by the USB3.0 controller from beginning. It's characteristic of Intel Haswell / Bay Trail platform, but IEI can custom BIOS for always managed by the USB2.0 controller.